1993 changed gaming as we know it, at least for a decade or so. Wizards of the Coast released the first “Alpha” series of Magic the Gathering, the first collectible card game. 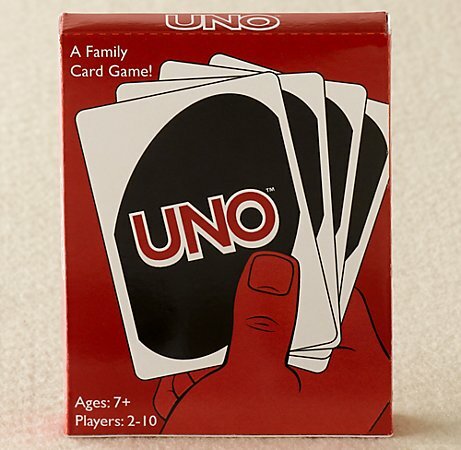 Heretofore card games on the market pretty much consisted of games played with a pinochle, or poker deck, or if you were really progressive you were playing Milles Bornes and Uno. Magic the Gathering (MTG) introduced an entirely new gaming experience, and subsequently an whole new wooorrlld, of games that followed suit. The concept was quite ingenious, instead of having an out of the box game playing experience players could now customize their own deck of cards, and pit them against other players, and in the meantime chase down highly sought after cards that would make your opponent tremble in fear when it was thrown on the table. It caught on, and BIG, MTG is still thriving and new sets are being released regularly, with just about every gaming store in existence holding monthly if not weekly tournaments. 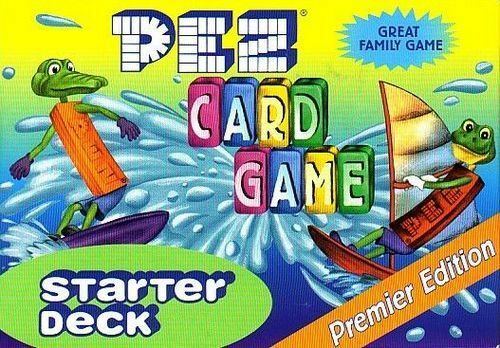 Yes, there was a Pez CCG! Because of the wild success of MTG, the entire gaming universe jumped on the collectible card game (CCG) band wagon, new gaming publishers sprouted up, and nearly EVERYTHING was turned into some form of a CCG. What I’m about to say might be the most shocking thing you’ve ever heard. I have never played Magic the Gathering. I know, I should hand in my Geek Card. But I never got past the eerie and hostile nature of the majority of the cards (particularly the Black and Red cards). I did however play my fair share of CCGs that showed up on the scene, all of which are now commonly referred to as “Dead Games.” There are many I still dust off and enjoy playing from time to time, and others that, while I don’t play them anymore, still hold a special place in my heart. Over the next several weeks, Firestone and I will be revisiting these games. Join us as we take this trip down memory lane and look at the games that time forgot, we’ll look at the good, the bad, and those that shall not be named. 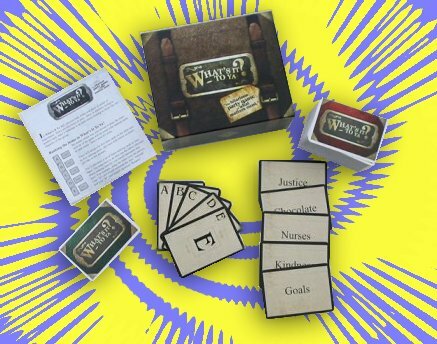 Today we’re looking at “What’s it to Ya?” a nifty little party game about “What matters most.” Shortly after the blog went live we were contacted by Mike Petty, who designed the game not only to entertain but to get families, students, and folks in ministry talking about priorities and, well…what matters most. He sent a few copies our way, and so today we’re taking a look at the two distinct sides of this coin. simplicity, Petty was able to include 3 different variants of the rules, Individual play, Partnership play, and “What’s it to…” Any way you play it, the idea is the same. Players will be ranking 5 item cards from highest to lowest in importance to them. The Items – Think of these like Apples to Apples green cards. Only not so much in the specific or proper nouns that they deal with, but more generalized concepts. Anything from anti-drug laws, to prayer, to clothes, to leadership or numbers. Ranking Cards – each player (or partnership depending on your preferred method of play) will be given a set of 5 ranking cards. These simply have a rank of A-E on them. One set will be used on the table. Game-Play – We’ll start with the partnership game, this is the version that seems to get off the ground quicker and creates some fun and insightful and “I can’t believe you think that!” moments at the table. So here’s how it works, you’ll set up by handing out ranking cards to the teams, and then put one set of ranking cards in the middle of the table. Then you deal 5 items from the deck, placing each of them next to 1 of the 5 ranking cards. Now, the teams decide who will guess and who will be “The Boss” first. (And yes, you will probably hear “like a boss…” more than once because of this) the boss takes the ranking cards and places them in order of importance SECRETLY, in their own personal ranking from left to right. You then take turns having the team’s “guesser” try to guess the order, starting with most important. The team with the most matches scores a point for that round. If there’s a tie, each team gets a point. And if you go 5 for 5 you score 2. Players switch roles and you do another round. You can play as many or as few rounds as you want, they suggest a game to 7 points though. The Individual Game – This variant operates the same way, but the scoring is different, instead of players guessing to match their partner, they instead individually rank the items, and score by having the most popular answer. In my above example that means if there are 5 players and 3 say Electricity is the most important then they score that card for the round – and a healthy amount of quizzical looks from around the table – again having the most matching popular answers scores you a point for the round, and a 5 for 5 scores 2. The What’s it to…? Game – This version is more of a just-for-fun version with no real scoring. In this version you put someone in the “hot seat” as it were, and they are given a set of ranking cards. Each other player is trying to guess the order of the items as ranked by the person in the hot seat. Players take turns being in the hot seat and are asked to be honest about their ranking, not just to try and throw everyone off! The Teachable Moments – As I said above, there’s more to this than just the game-play, and that’s the heart of what this game is about. Is it fun? YES! The group of students I played this with had a blast, and asked to borrow it from me! We had many laughs, and a few cringing moments when someone guessed wrong. But the conversations that can come out of the game are numerous; after a few rounds I had the students make their guess for their partner and also tell why they were picking that item in that rank.” I could also easily see using the game with pre-determined items, and revolving a series of Sunday school lessons around those items and the priorities we place on them. The Bottom Line – For a party game “What’s it to Ya?” is exactly what I look for in party games: super light in terms of game play and mechanisms. With little to no housekeeping. It supplies good entertainment and lots of laughs, whether you want to laugh or take the conversation deeper it sets the table for both! If you’re a parent, a small group leader, or a person in ministry I recommend grabbing a copy and starting some conversations with the people you love. You can pick up a copy of “What’s it to Ya?” Super cheap RIGHT HERE! After 3 weeks of taking entries we finally have a winner in our contest for a free copy of The Resistance! But before we just blurt out the winner’s name, let me explain the process and how we made the random selection. We didn’t just put names into a hat and draw one; we did the Internet version of that. We went over to RandomDraw.com and used the “Prize Draw” option, after entering in all of the contestants we let the interwebs do their thing. A.K.A. meganp10. Congratulations Megan, if that’s your real name… And thank you to all who entered! If you didn’t win today, never fear…we have more contests and free stuff coming your way this week! You can view the results of the drawing by following this link RIGHT HERE! Didn’t win? You can still get your own copy right here! When We Last Left Our Heroes! It’s been another fabulous week here at TOG, filled with game reviews, and some juicy news about one of our favorite games! I know, I know, we’ve been banging the “The Resistance” drum pretty hard lately; truth is we’re hoping to get lots of entries in our contest to give away a free copy of it! That and we really do enjoy the game! Anyway, once again we’ve compiled our week’s posts all into one easy-to-use clickable list for your viewing convenience. Enjoy! Go Go Godzilla! Here’s our Review of King of Tokyo! Battlestar Galactica – By your command! An Expansion to The Resistance Is On Its Way! Your LAST Chance to WIN! Once again we are so grateful for your support and ask that you follow us on Twitter @Firestone, @JeremiahIsley, and @TheologyofGames, Like us on Facebook and share and retweet EVERYTHING we do! Okay, maybe not EVERYTHING, but every little bit helps! In Case You Were Waiting for the Last Minute! Well this is it! The last minute!! Tonight at the stroke of midnight we’ll no longer be excepting entries for our contest to win a free copy of the Resistance!! What’s that you say? You STILL haven’t entered, but you want to? Well never fear. Just follow this link and a few simple steps, and you’ll be all set! We’ll announce the winner on Monday, July 23! So be sure to check back to see who the lucky winner is, it could be YOU! Thanks so much for being a part of this contest, and for telling your friends about our little blog here! We’ve had a great kickoff so far and look forward to informing and entertaining you all in the days to come! A Resistance Expansion Is On Its Way! This one’s from the rumor mill–but it comes from a reliable source. The Resistance is getting an expansion! The owner of Indie Boards and Cards has swooped into a couple of threads on boardgamegeek.com, and hinted that an expansion will be going up on Kickstarter soon. He also said it won’t just be more plot cards, but some new ways to play the game. We can’t stop crowing about this awesome game, so more ways to play has us super excited. We’ll keep you updated, and post a link to the Kickstarter project once it officially goes live. In the meantime, make sure you sign up to win your own copy of The Resistance. The contest ends tonight, and right now your chances are REALLY GOOD. Thanks for reading! A friend of mine recently referred to Battlestar Galactica as the “big brother” to “The Resistance.” And in a way there is something to that statement. 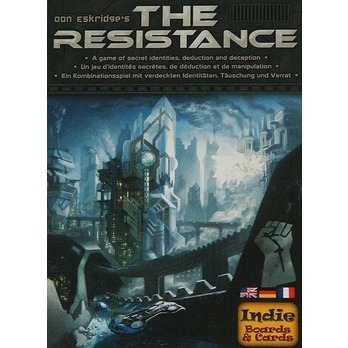 The intrigue and skulduggery of “The Resistance” is a key component of both games. However BSG adds a few twists and turns, and a little more housekeeping to the mix. Players begin the game by selecting a character, and then they are dealt a loyalty card. This will tell them whether they are a Cylon, a sympathizer or none of the above. (By the way, I’m writing today as if you have already seen and love the Syfy series by the same name; if you haven’t, expect some potential spoilers and please come out from under that rock.) At this point as the game begins everyone is playing as if it were a co-op game, there IS a Cylon among you, but you don’t know if that individual is a “sleeper” and doesn’t know they are yet, or if they are just acting as if they don’t know yet. Yes, you will give your friends many sideways glances. The game is won by the humans, if the Galactica jumps 8 units of distance, and then performs one last jump. The game is won by the Cylons by several means, most common is depleting any one of the Galactica’s resources (food, fuel, population or morale), but they can also destroy the Galactica or successfully board it with centurions. The basic turn structure, allows you to make strategic moves to help the Galactica prep for a jump to light speed. While handling crises as they come at you, on every turn. All while trying to figure out if you have a Cylon saboteur among you. 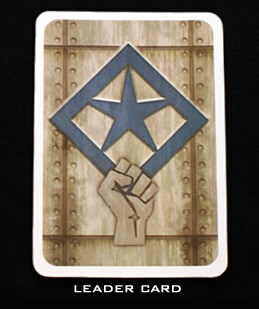 A crisis is overcome by players submitting skill cards to the crisis. Each crisis card will require a certain amount of certain skills to pass it, and there is a positive and negative reaction for passing or failing the crisis. Players secretly submit their skill cards (Which they receive each turn, based on their characters abilities) to a crisis, along with a few random cards from the “Destiny deck”, and add up the skill points. This is where the Cylons have their fun. Each skill card that is from a skill that is NOT required by the crisis counts as negative points towards passing the skill check, and Cylons can always claim that the destiny deck chipped in those random “off suit” cards. Typically the fail reaction results in the loss of a resource point, or the launching of Cylon Raiders. After a set amount of rounds their is a “Sleeper Round” in which more loyalty cards are dealt out, insuring at this point any Cylons in the game know who they are! Because of this mechanic, simply choosing a character that is a Cylon in the tv series, does not necessarily mean that you will end up being a Cylon during the game. Once the Cylons are outed they are tossed into the brig, or sent to a Cylon location where they can really wreak some havoc! I have watched the tv series in its entirety more than once; it is probably one of the best science fiction series to hit television…ever. (I know I just made every Star Trek fan hit the ceiling.) That being said, there are a few elements in the show that rubbed me the wrong way. One being the over sexually charged nature of a number of episodes. The other being the strong use of religion and God as a plot device. They often blurred the lines of right and wrong using religion to do so. I didn’t have too big of an issue with this—after all, it is science fiction, but if you’ve seen the last episodes of the series the lines are blurred once again, this time between fiction and commentary. The good news in all of this, is that the game is filtered pretty well from these aspects of the series, so rest at ease if you choose Starbuck as your character you won’t be asked to simulate some lewd act with one of her multiple partners from the series. And the only hint of the religion element appears on Laura Roslyn’s character sheet. She has the special ability of “Religious Visions.” It makes sense and is in line with the character and her “abilities”—she also has the character trait of “Terminal Illness,” so there ya go. My chief complaint about the game—which may seem petty—is that the skill cards are printed on those tiny little cards that are too small for your hands, and really hard to keep organized! We hates them! The game box tells you that the game will take about 2-3 hours, and they weren’t kidding! This is a game that will be your game night, not just a part of it. I’ve played with folks who don’t know the show, and it is just as enjoyable to them, the twists and turns and pointing fingers and accusations seem to pull players in and it often doesn’t feel like it’s been a 2-hour+ game.